Thickness range: 40 mm to 20 mm, 12 thousand onwards. Relying on our expertise in this domain, we are engaged in offering Screw Slotting Cutter to our respected clients. We are passionately engaged in manufacturing and supplying an exclusive array of Slotting Cutter. - Used for routing, carving, rounding, etc. To furnish the diverse requirements of our clients in the best possible manner we are involved in offering an extensive range of Slotting Cutters. As a prominent manufacturer and supplier of the finest quality cutting tools, we are committed to cater our clients with the best possible quality Slotting Cutter that is designed with sharp cutting teeth on its side and circumference. The offered assortment is available in different diameters and widths for different applications. We have all blades for Micro Corrugation readily available. 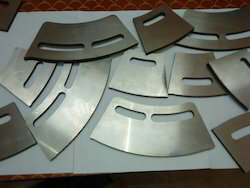 Blades of different size or specification can be made and supplied against order or sample. Kindly contact us, we will be pleased to send you our catalogue with detailed information of all item for slotting machines. Slotting Cutters or slitting cutters are supplied in both coarse and fine teeth or as per special number of teeth. The cutter dia ranges from 20mm to 350mm. Cutter dia can also be varied as per the requirement. 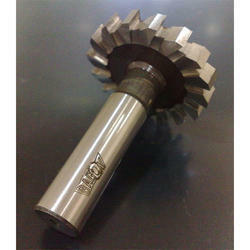 Cutters can be supplied in varied thicknesses and bore sizes. Board Cutters, Rotary, Eccentric Slotter, Chain Slotter. Owing to a long-term destination for our business, we are dedicatedly engaged in offering a huge assortment of Slot Milling Cutters to the customers. Our offered assortment of products is made by our knowledgeable professionals using optimum grade components and latest techniques in compliance with defined industry norms. Specifications will be as per IS 5031-1978 or BS 122-1953 part 1. Please let us know if you'd like your cutter to be made according to a different standard or with a special specification. Being a leader in the industry, we are engaged in offering a qualitative range of Slotting Cutter to our clients.